There’s two types of garage storage cabinets available for organization. 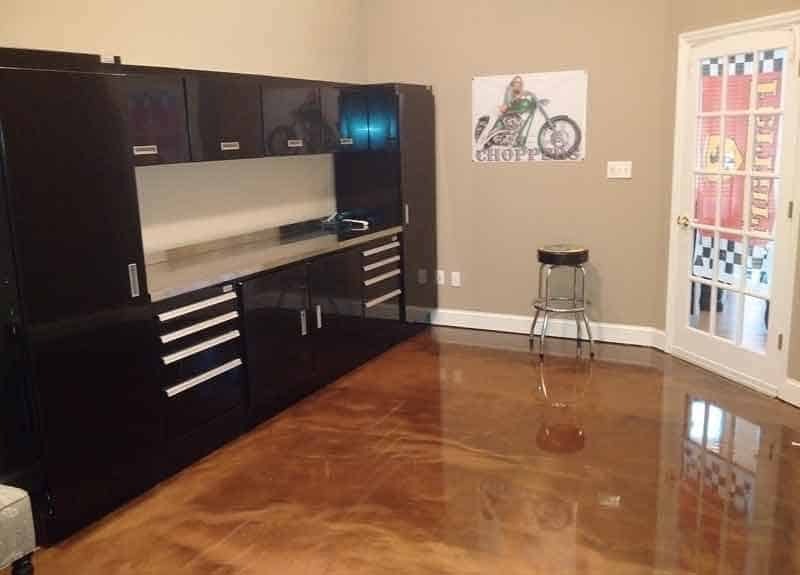 If you’re ready to organize your garage, you can choose from pre-configured garage layout options and a custom fit. The modular, or pre-configured standard units can be the right choice for any garage size and budget. Here’s a few tips on choosing your garage cabinet systems. Know what your budget is for buying garage cabinets so that we can help you stay within your budget. We have pre-configured standard cabinet combinations in our Select™ Series of cabinets. One thing to consider with buying cabinet organization systems is that you get what you pay for. If you buy a cabinet made from lesser quality materials, such as plastic, wood, or even steel cabinets, then you’re not going to get the quality for your investment. Our high alloy aluminum cabinets come with a lifetime guarantee, are resistant to rust, mold and mildew. Our cabinets also have premium features that many other cabinets do not. The investment is worth having cabinets that are built to last and are functional for the spaces they’re in. We also have several customizable options available to maximize your use of them. Determine the use of the cabinets in the space you need them in. We have a lot of cabinet combinations that are available to use in any layout no matter the size of the space. The amount of space you have will be the most essential factor to decide what cabinet layout you need. But, you’ll also need to know what you plan to store in the cabinets and how you will access these items. We have doors that can be installed to open from the right or left to ensure ease of access. Another important factor to consider in your space is the angle, windows and door locations, and any obstructions along the walls. We typically have a standard pre-configured cabinet combination available, but just in case, can also create a CAD drawing to display a custom combination. Having a storage system that works for you takes some consideration, especially in knowing what you want to store in them. Typically, in the garage, tools, parts, and other car necessities are stored for easy access to work on a car. For all of our cabinets, we have accessories and options available to maximize their use. For instance, if you are storing parts, one of our parts bins can separate each. We also have drawer dividers and customizable shelving units. We also have tall cabinets that are useful for storing clothing you use in the garage, brooms, and other longer items that won’t fit in a typical cabinet. The tall locker style cabinets also have shelving that is available for customization. Call one of our Cabinet Specialists to talk about your space and cabinet system location. We can help you choose the cabinets you’ll need for the layout that will fit your space. Call us at 888-343-4463 or fill out our contact form.